Ziggy & Milo (formerly Crunchie & Yorkie) were two of the ‘Selection Box’ kittens who came into care just before Christmas as a litter of six. 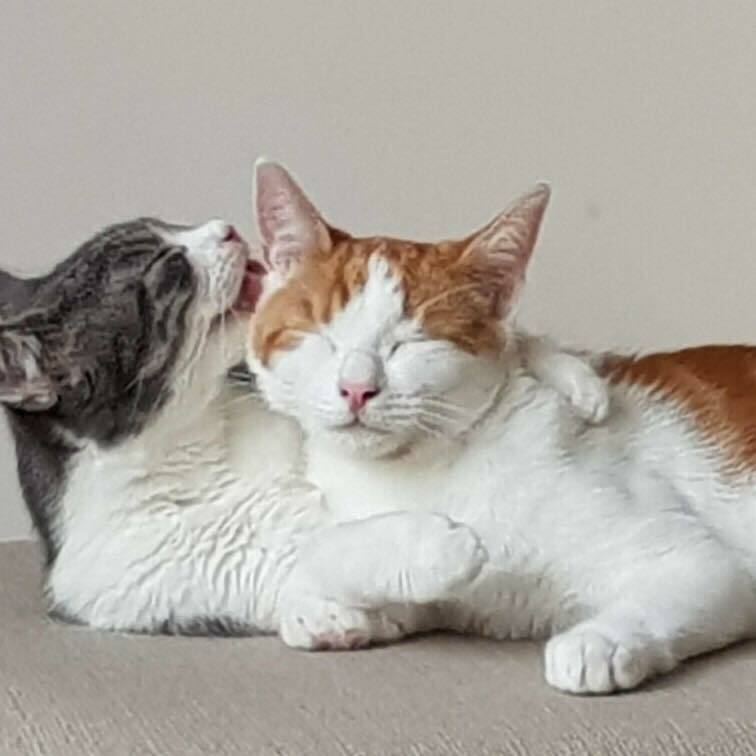 Born on 09/09/17 these two gorgeous boys were adopted on 21/01/18 and we had a lovely update at their grand age of 5 months! Owner Kelly says they seem happy at home with her. She adds that Ziggy seems to have really grown and both have mad hours as we call them then crash together! They love sleeping next to us but not really lap cats at the moment. Milo follows me everywhere. It's great to hear how these two 'selection box' kittens are getting on. 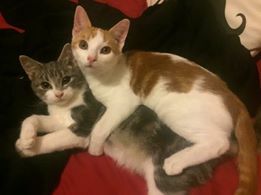 A month on and at 6 months old the boys "love cuddling up but also are just as happy to do their own thing, Milo loves to sit next to my mums laptop whilst she works and Ziggy loves to come and spent time with me in my room." They look beautiful, with a hint of naughtiness about them! A lovely Easter update from Kelly saying that at nearly seven months old Ziggy & Milo have developed a daily routine in which they lie next to Kelly all day while she’s working, then run around like lunatics in the evening. On the eve of their first birthday, owner Kelly, shares her thoughts on this special duo. "One year old tomorrow. We love these boys so much. 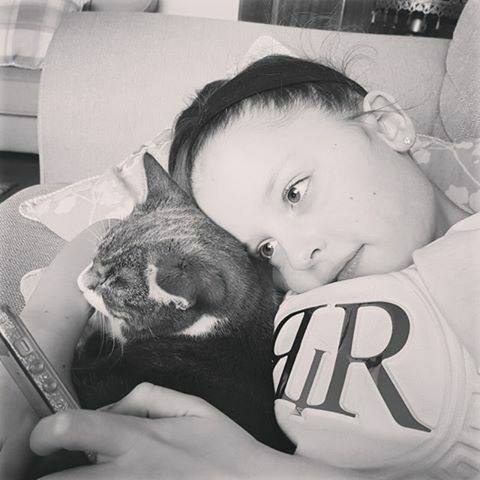 Over the past eight months they have become more and more affectionate and really part of our family. Ziggy has amazed us how he turned from hiding when guests came to visiting our neighbours regularly! Milo could get away with anything with that face and loves company. 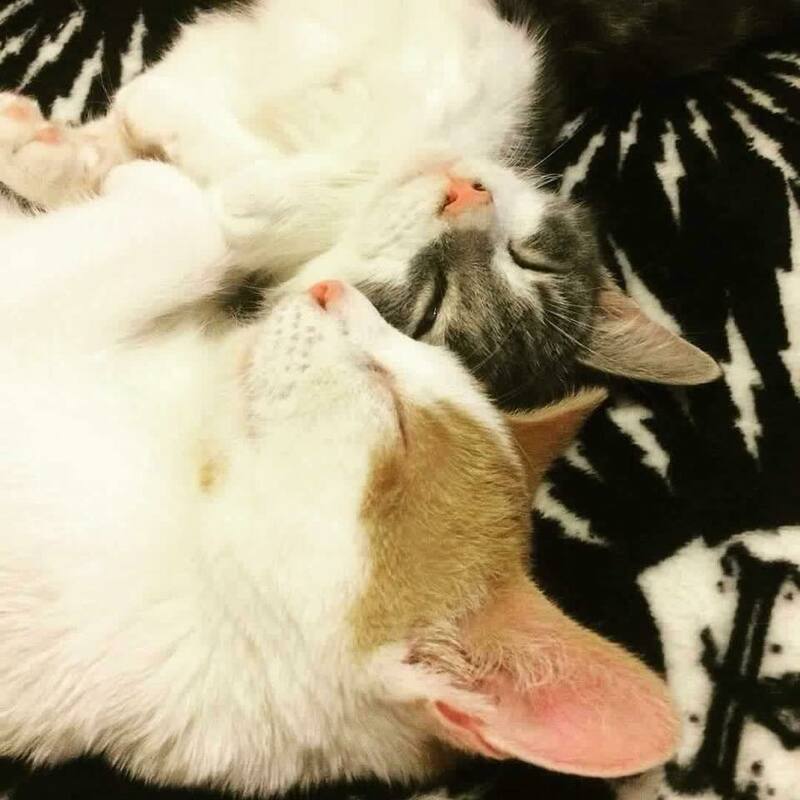 Thank you letting us adopt them. 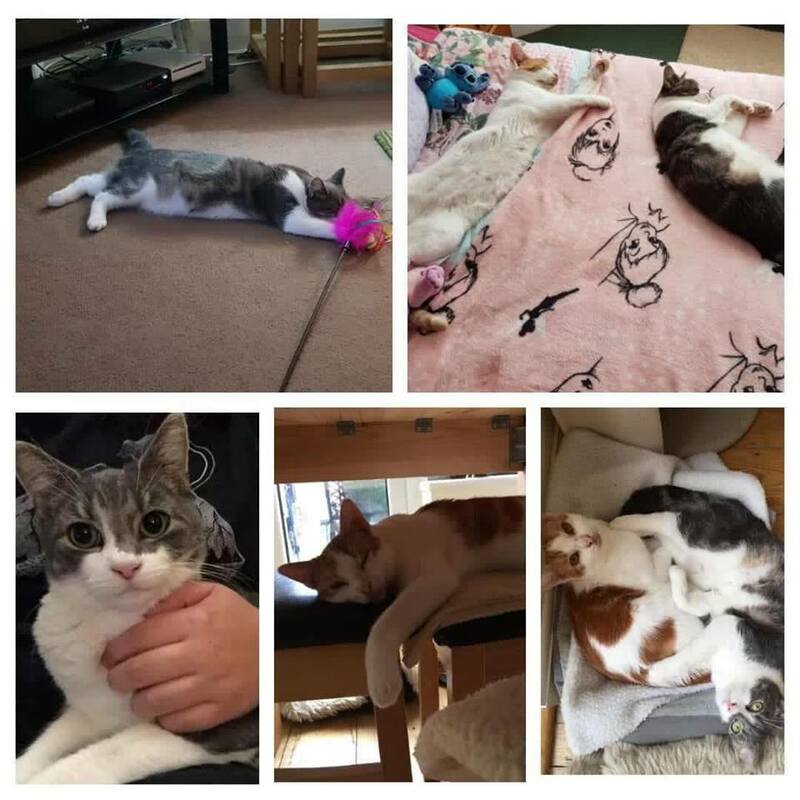 Happy first birthday furbabies "
26/02/19 and more gorgeous pics of Ziggy and Milo. 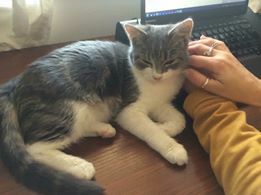 Kelly says "17 months and I think we can safely say they are settled! 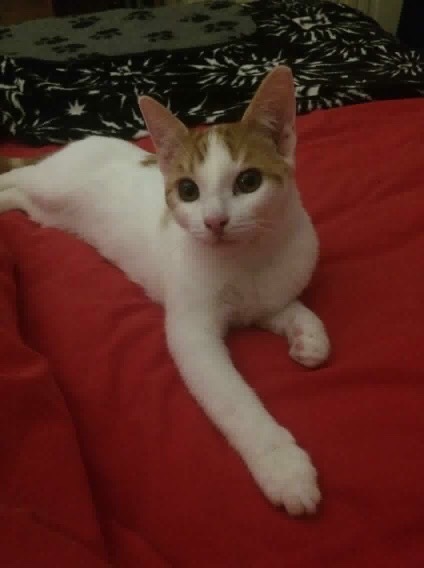 Ziggy is quite good - Milo is our little mischief! ! "